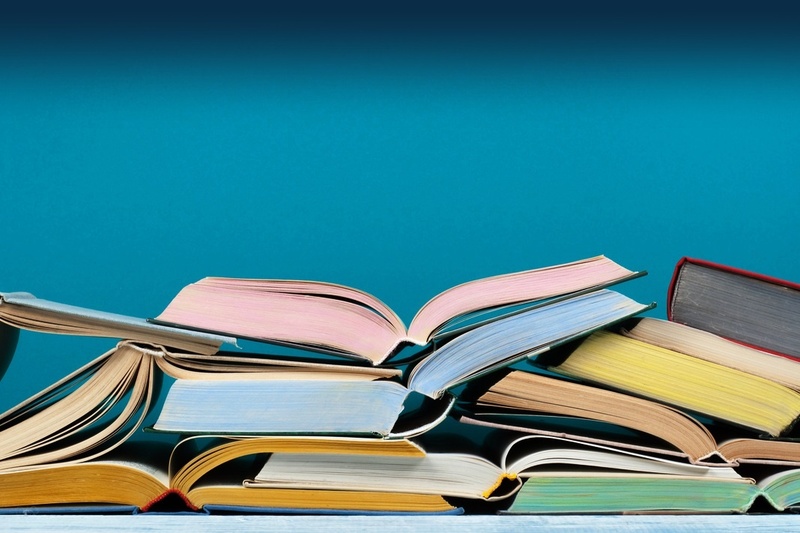 Our annual compilation of books that members of the The Heller Report community recommend to their fellow IT leaders. Each year, Heller Search publishes a recommended reading list for CIOs and other IT professionals. Herewith is the 2018 edition! But this is not your average, everyday book list. Each of the 35 titles below has been recommended by an IT professional in our Heller Report reader community. As in past years, your recommendations were not limited to technology and business. There are books here on miltary service, race relations, sports, even Buddhism; but what each volume has in common is that it taught these readers something about how to be a better technology executive -- and they've even added notes as to how and why. Thank you for your recommendations! If your submission doesn't appear below, it means the title has already appeared on a previous list. Enjoy! "A hugely insightful guide to how traditional market leaders can successfully counter the threat of disruption from digitally fuelled start-ups. Winner of the Thinkers50 Innovation Award." "This is an art form that we all need to actually learn - to ask the right question. But how do you ask without offending anyone? This is a fantastic book which I constantly return to and highly recommend." "A significant success factor in this (CIO) job is the ability to influence others and gain agreement on an initiative. 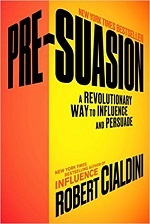 This book delves into the social psychology of how decisions are made. It has helped me with practical tips on how to set the stage to get the outcomes I need." "A great book with practical principles for executing on goals." "You don't need a big job title or a business degree in order to lead with impact. What you need is practical wisdom: the insight, judgment, and strength of character that all great leaders have, but most business schools and corporate workshops don't teach. The Greats on Leadership gets you there." 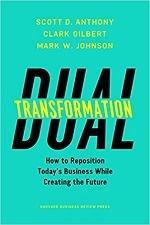 "Dearborn and Swanson provide a great behind-the-scenes look into how analytics can help a leader work with peers, direct a team, and lead the company with a strategic mindset backed with data. Through conversations and insights the reader can follow the story." "To be transformational leaders, we must absorb transformational ideas. 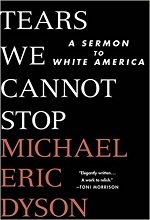 This book is a profoundly important call to personal and societal transformation. True leaders do not settle for the latest generic business text on "teamwork" or "getting results"- instead we strive to hear from diverse authors who challenge our thinking and give us a window into others' experiences. Dyson does just that." "Three major forces - technology (Moore's Law), globalization (markets), and climate - are changing at an ever increasing pace. Friedman explores the causes, impacts, and the opportunities presented by 'the age of acceleration'." "Insightful set of opinions on these companies. Galloway makes good points and correlations on things we are exposed to everyday, but don't really notice. An easy read." "Everyone is asked to be innovative, but how? In this book Gibson takes the reader through the journey of innovation and its history. Then in the second half, using the four lenses, he then articulates a road map to achieve innovation within an organization." "From a CIO perspective, it couldn't be better. 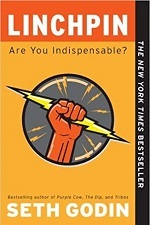 You can apply it to yourself, mentor your team, or replace yourself as a linchpin within your organization." "I read Triggers by Marshal Goldsmith - again!" 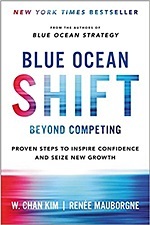 "The successor to Blue Ocean Strategy, this provides a cook book on how to execute on some of the ideas for making the competition irrelevant articulated in the 2004 best seller." "The book lays out the strategic approach that A.G. Lafley defined and rolled out when he was Chairman and CEO at Procter & Gamble. The book provides a pragmatic approach to strategy that can be used for business as well as adapted for a function like IT." "Gripping adventure novel is set in Siberia in the 1980's where a downed American test pilot, Joseph "Joe Mack" Makatozi, has been taken after his capture by the Russians. 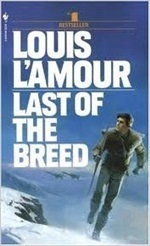 Part Sioux, Joe Mack escapes prison and treks across Siberia to the Bering Strait to cross into North America." 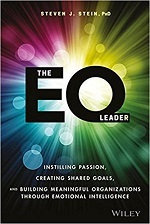 "A great book which helps us understand the personal qualities needed to build effective teams. I once used the words 'Work-Think-Care' to describe what I look for in an employee. After reading this book, 'Humble, Hungry and Smart' have become my new approach." "Sensemaking is a valuable counterarguement to the current fixation on algorithmic thinking. CIOs live in a world of quantifiable performance metrics yet must facilitate organizational transformation and improvement. Developing a facility with sensemaking will help CIOS be better problem-solvers in environments marked by emergent and complex change." "A new and innovative way of thinking about how to get your important work done. In a distracted world of pings and dings, the concepts really helped me focus on work that really matters. I would recommend this to any leader who wants to up their game!" "This is great story about the effort required to transform Microsoft to a mobile-first and cloud-first company. 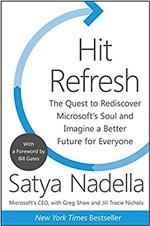 It provides context to how Satya's life experiences were integral to him becoming a visionary corporate leader with significant focus on culture in order to get everyone aligned working towards the same goals." "This is a great book for helping IT leaders better understand interactions with other business partners. Understanding these principles will help you check yourself and react intelligently when communicating with all types of people. Learning to communicate outside the technology sphere is key for anyone working their way up in IT management." 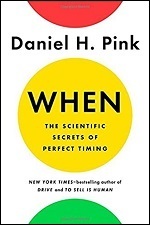 "Pink distills research on timing into a book with actionable concepts, which allowed me to optimize the scheduling of my days to improve productivity. The beauty of Pink’s style is that it describes the research and data, and then translates this into actionable steps we can take to improve our (and our teams) productivity." "A nice follow-up to Ries's first book, The Lean Startup. It provides a number of war stories (good and bad) of how lean techniques can be successfully and practically utilized in established enterprises such as GE. Also provides a good update/reinforcement/improvement on the basics of the overall methodology." "It is a practical book and talks about how you have to be ready to lead, even when things are hard. It makes you think about your own readiness and preparation to lead. A quick read." 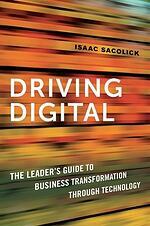 "Isaac's book was very insightful for me and my CIO. Although I have been working in IT for the past 20 years, Driving Digital has provided me and my team with insights." "This is the current guide book to help an enterprise transform in the digital era. DevOps, Big Data, Agile architecture, culture, customer-experience and many more must-address issues are tackled by Sacolick . This book cuts through the fluff to practical, applicable ways to ensure success as we enter the 4th Industrial Revolution." "Mark Schwartz describes the shift to agile, LEAN and DevOps from an IT leadership perspective - how to harness these new approaches to create enterprise value. Many lessons we have learned over the last years described from his perspective as CIO of US Citizenship and Immigration Services make for a thought-provoking read for all IT leaders on their digital transformation journey." "I loved the simplicity of how being a genuine, nice and caring human being can have a lasting impact on you, but more importantly all the lives you encounter, whether at work or not. A short but powerful read." "Brandon's book has heart, and shows that, with guts, you can accomplish anything. I have spent over 45 years in the technology industry, starting with IBM in 1964, and have seen all the technology that has been developed. CIOs have to have the courage to embrace it and sell it to the CEO." "A great book that gives tips on how to focus and improve performance. Takes examples from the sports, academic and business world. Quick read." 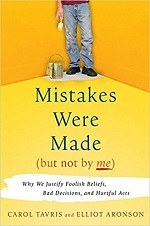 "Great insight for creating better relationships in your career and personal life. 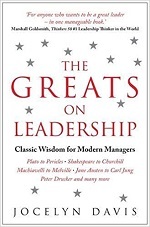 The book helped me improve my work relationships with peers, subordinates and leaders." 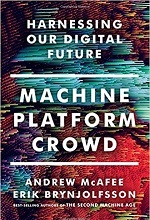 "This book succinctly provides a futuristic glimpse of the emerging technologies that will change society in the coming decades. It surveys the potential impact of these advanced technologies, and the moral and societal dilemmas that must be considered during the creation and implementation of them. The insights provided in the book will help business leaders to consider the disruptive impact that these technologies could have on their industry and company." "Strange recommendation on a CIO reading list? Perhaps. But it is useful to hack our own brain/mind is it not? To have supreme control over our own desires is a superpower for leadership. Meditation offers that path and this book illustrates the scientific foundations of a particular practice of meditation (Vipassana) that is traced back to the historical Buddha himself. I have practiced this myself and with even limited discipline, the benefits to my emotional intelligence have been transformational." "It is a business novel in the style of The Goal or The Phoenix Project. The book gives a good overview and step by step guide what it takes to implement SAFe (Scaled Agile Framework) in your organization. The story is purely fictional, but points out the challenges and pitfalls organizations face in implementing SAFe. Clearly, there are many other models to implement large scaled Agile but SAFe has experienced widespread adoption in Europe, Asia, and the USA and it is a sure bet to get scaling of Agile right." Martha Heller is CEO of Heller Search Associates and author of Be the Business: CIOs in the New Era of IT, and The CIO Paradox: Battling the Contradictions of IT Leadership.